We've seen the padlock close and the lights click off. The images of the abandoned, desolate speedway can be a truly haunting site. The weeds grow with time and the clock causes memories to fade. As the epidemic of "Lost Speedways" continues to grow across America, there are very few feel-good stories and comebacks. In the quiet town of Jennerstown, Pennsylvania, a racing resurrection is about to take place. After five years, the weeds are gone. The sound whirling winds and flagpoles clanking will be replaced by the sounds of the American Stock Car as Jennerstown Speedway re-opens its gates for the first time since 2009. The season opener takes place tonight, Saturday May, 10th. The resurrection story starts with three men, Bryan Smith, Robert Beck and John Taylor. Just after this past Thanksgiving (2013) they negotiated and purchased the track from former owner David Wheeler. 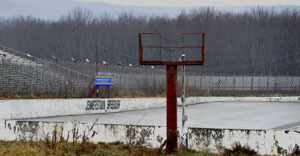 Jennerstown may have only been closed since 2007, but in just a handful of years, father time and some vandals took its toll on the Speedway. The .522 mile oval, once considered one of Short Track Racing's most modern facilities is coming back in exciting fashion. The Super Cup Stock Car Series opens their season at the Western Pennsylvania speedplant. Speedway officials have planned a big opening weekend full of festivities culminating with the 75-lap feature event. From a parade through downtown, to Monster Trucks, support racing and fireworks, the community will band together to welcome back its long-lost friend. In many instances, the political world can work to the detriment of a Speedway. In the case of Jennsertown’s rebirth, the local government is supporting the effort. They’ve even agreed to shut down a busy section of highway to have a parade to kick off the track’s Grand Re-Opening. The hard work will culminate this weekend at Jennerstown. But why the effort? Why resurrect this Pennsylvania track? Taylor says the answer was simple. “We are passionate about racing. The three of us are officers in SCCA racing and have held autocross events here. We just kept saying to each other that we cant believe an iconic racetrack like this in the state of Pennsylvania is shut down and nobody’s doing anything about it. So we tossed the idea around about asking Mr. Wheeler about buying it. We contacted him and started the negotiations and came to an agreement. 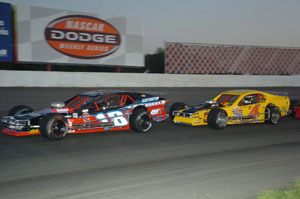 Jennerstown Speedway began its first life in 1927 as a ½ mile dirt oval and was originally known as Jenners Fairgrounds. The oval has seen a few changes in its time but none greater than when it was paved in 1987. This change brought major Motorsports events like ASA Racing, NASCAR Touring Series Events and the old Hooters Pro Cup Series to J-town. Infact, former Hooters Restaurants owner Bob Brooks and Late Model racer Steve Peeles were one of the many who once owned the Jennerstown facility. Fast-forward to 2014, after after seven year hiatus from racing, a new chapter to Jennerstown’s storied history is about to begin. 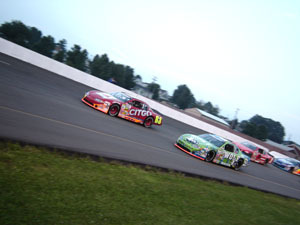 The emotions will be high for many when the green flag is waved over a pack of cars at Jennerstown this weekend. Jennerstown is a comeback story that is rarely seen across the modern day American landscape. A few racing facilities have recently been resurrected, but a far greater number have locked up their gates as the epidemic of Lost Speedways continues to grow. Racing fans and the locals of Jennerstown, Pennsylvania have a renewed hope. Like the saying goes; “sometimes you don’t know what you’ve got, until it’s gone.” The fans and racers aren’t taking this comeback for granted. The lights are on again at Jennerstown Speedway.